As one of the leading venue finding agencies in the UK we know that finding a venue can often be one of the most daunting jobs an event planner has to face – especially when it comes to corporate events. Not only can it be time consuming, but trying to accommodate everyone’s individual requirements can mean you have a lot of things to think about. So, to make the job a little easier for you we have pulled together our top tips to think about when you are tasked with finding a venue. The job of a venue finding agency is made much easier if the event management companies London approach them with a clear understanding of what their client is looking for, the background of the company and what type of venues they think will work the best. Having a thorough understanding of the brief, such as the type of audience it is aimed at, what type of technology they want to use, how important WiFi is to them, and what type of content will be shown are all great bits of information that will make finding the venue a much easier task, as you will be able to discount the ones that won’t work and so narrow down your list massively. If event planning is part of the service you offer, then venue finding is going to be really important to you and you will probably have a great knowledge of venues in your local area as you will have organised events in them. However, we know that venues are constantly being refurbished and upgraded, and new venues open all the time and so it is really important to set some time aside to go on site visits on a regular basis to really get a good feel of what the venue is like. Don’t be afraid to negotiate – the rate the venue prints in its brochure is not necessarily the rate you have to pay. Use your buyer power to help you to get the best rate available – many venues will be used to having to negotiate and will be flexible on price to a certain degree. Don’t just negotiate on the price though, negotiate on attrition dates, cancellation terms, and minimum numbers too. Knowing the minimum and maximum numbers that your preferred venue can handle is vital – as trying to squeeze 500 people into a venue designed for 250 would be a nightmare, whereas on the other hand having only 250 people in a venue designed for 500 would look a little silly. You also need to think about any stages or platforms you wish to use, as they will more than likely take up space in the room – in general this tends to mean you would lose about a third of the space. It is also critical that you know the minimum numbers allowed for your preferred venue as well, and that you don’t guarantee too high a number. It may work out cheaper for you per head in the beginning if you do, but if they fail to turn up you could end up paying for people who aren’t there. When you are trying to narrow down your list of preferred venues, knowing the layout of each one can be helpful. You can ask each one to provide you with a plan showing fire exits, power outlets and so on. This will not only help you to work out the best flow of traffic as power outlets will be needed for AV equipment and fire exits cannot be blocked. You also need to make sure that your attendees can get from room to room easily, and that you have space for break out rooms as well. This might be an obvious point to make, and it is not something that is often in the control of the venue finding agency, but the earlier you can start your venue search the better. Great venues get booked up well in advance, especially if there are recurring events that happen at the same time year after year. The further in advance you start your venue search, the more venues you will be able to choose from, giving you more time to organise everything else. 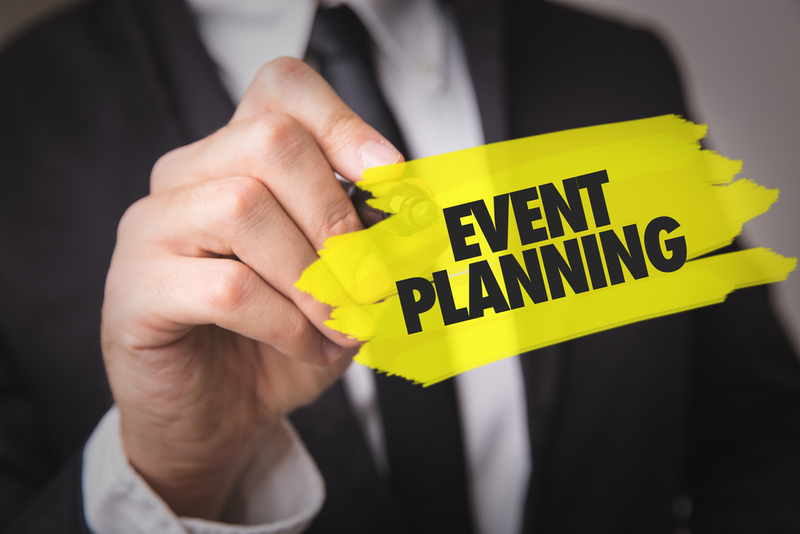 Ideally yours will be the only event on at your chosen venue on your chosen date, but if the venue is large you may well find that there is another event going on as well. You will need to make sure that the other event does not disrupt yours – not only with noise levels but also sharing coffee and lunch areas and so on. You also need to make sure that the other event that is taking place does not conflict with your clients, for example, most pharmaceutical companies won’t want to be in the same place another pharmaceutical company is. A common mistake that we come across often is that event planners book venues for the time of the event, and forget to include rehearsal time, pre-event set up and clearing up time afterwards as well. This isn’t something that is easily fixed either, as in the meantime your venue may have let another company book them on the same day, so make sure you are clear on access and set up times before you sign anything. As you can see there are lots of things that event management companies UK need to think about when searching for and hiring a venue, but with the tips we have shared above should help to simplify the process.